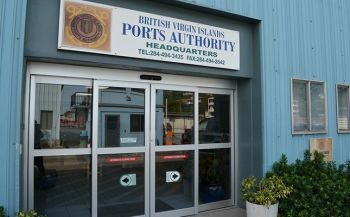 You are here: Virgin Islands News Online » News » Lloyd K. Black on job @ Ports Authority despite earlier denial! Lloyd K. Black on job @ Ports Authority despite earlier denial! ROAD TOWN, Tortola, VI - Despite their earlier denial of the fact by a spokeswoman for the BVI Ports Authority last week, this news sites’ National Democratic Party (NDP) sources have moments ago confirmed that former Minister for Education and Culture in an NDP Administration Lloyd K. Black is on the job at the Ports. And BVI Ports Authority's Public Relations Officer April T. Glasgow confirmed to Virgin Islands News Online today July 2, 2014 that Black is on the job officially. “Yes, [Lloyd K. Black] is officially with us,” Glasgow told this news site. 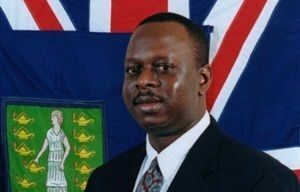 It is believed that Mr. Black, a former senior officer at the National Bank of the Virgin Islands, is to head up a Unit to manage public investment in the controversial Port Development Project. Last week this news site was the first to accurately carry the story that Mr. Black the reported campaign manager for the NDP in the 2011 general elections was expected to take up an assignment at the Ports Authority. However, Virgin Islands News Online known for its accurate and factual reporting had stood by its story along with its sources and minutes after the Ports Authority denial of Mr. Black potential assignment had several calls refuting the BVI Ports Authority claims even from BVI Ports Authority Board members. It was last year that the Virgin Islands Auditor General Ms. Sonia M. Webster conducted her own investigations of the Ports Development Project. One of the revelations in the Auditor General Report is that the developer recommended and approved by the National Democratic Party Government, the Tortola Pier Park (TPP) Group, had named the BVI Investment Club as its local partner, page 11 (61). The Auditor General's Report on the Ports Development Project unearthed corruption, conflict of interest, disregard for the laws of the Virgin Islands, unfair practices, undue influence in favour of one developer, disregard for the established tendering process and that no one looking was out for the interest of the people and taxpayers of the Virgin Islands, putting the people at a disadvantage. In the recent Public Accounts Committee’s (PAC) report on page 31, 3 they agreed with the findings of the Auditor General's Report which were substantiated by the evidence furnished to the Committee during the Committee’s investigation of the project. After the final PAC report was laid in the House of Assembly on Friday June 13, 2014 it became a public document. Right...I'm sure..i will vote for the NDP again after this!!! Wake up people and smell the rose growing in the field voter NDP must go!! Vote out the NDP for the BVI own good. Wow! Another nail in NDP coffin. There is no doubt in my mind that NDP will loose the next election. I am confused and this Government is adding to my confusion. The Government made its position very clear when the Port was about to employ the Dept. Managing Director. "Employment would only be possible after his pending case was heard." Has there been a change in the rules or is this ruling applicable to some people and not to others. This matter needs to be investigated. Nevertheless, I do hope that this inspires people to make more public stands on equally saddening situations in our country.